Static-Ware is the best private CSGO cheats provider out there in 2018. We specialize in creating external, undetected private Counter Strike: Global Offensive cheats with features like ESP, aimbot, Skin Changer, and Knife Changer - with the new Horizon Case knives and skins, and much more. All our private CS:GO cheats have a $1 trial, which means that you do not need to commit to an expensive up-front fee just to see if you like it. We do not charge you up front - you get to test it to see if you like it before committing! TRY IT FOR ONLY $0.99! Yes, we said it! We're the only CS:GO cheat provider with a hack that has over 30 features, no monthly subscription fees and completely private. The Static-Ware cheat was built from the ground up, meaning no other cheat shares our code! Don't get caught using a pasted or stolen cheat. Use the completely proprietary Static Ware! Static-Wares cheats are custom made and private between each hack sold. This is how private cheats stay undetected for years - Our best streak was over 2 years undetected. All our private cheats are custom made for each customer, this is how they stay undetected for years! Our best streak was over 2 years undetected with the same cheat. Our cheats have every feature you could possibly need in CSGO to wipe out the competition. Ranging from Aimbot, ESP, BHop, Skin Changer and Knife Changer with the new Horizon Case. We let you test the private CS GO hack for only $1, that way you know whether or not it is for you. If you decide that it is, it is only a low monthly cost to continue using it. 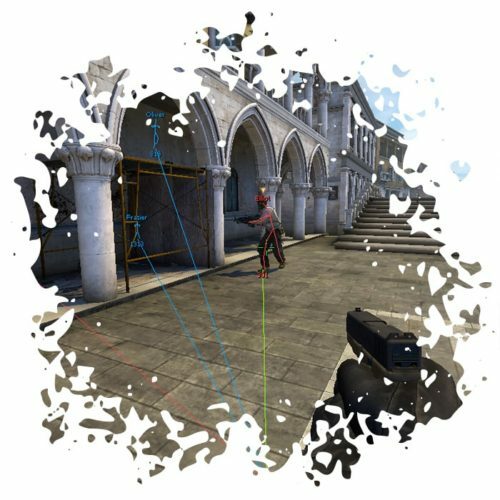 Static-Ware CSGO cheats are packed with features including Aimbot, ESP (Wallhack), Skin Changer, config settings and much more! The best part is that all features can be easily configurable to your liking within the user-friendly hack menu. Save, load and create your own cheat configs! Click on the tabs (for example "ESP HACK") for feature details. 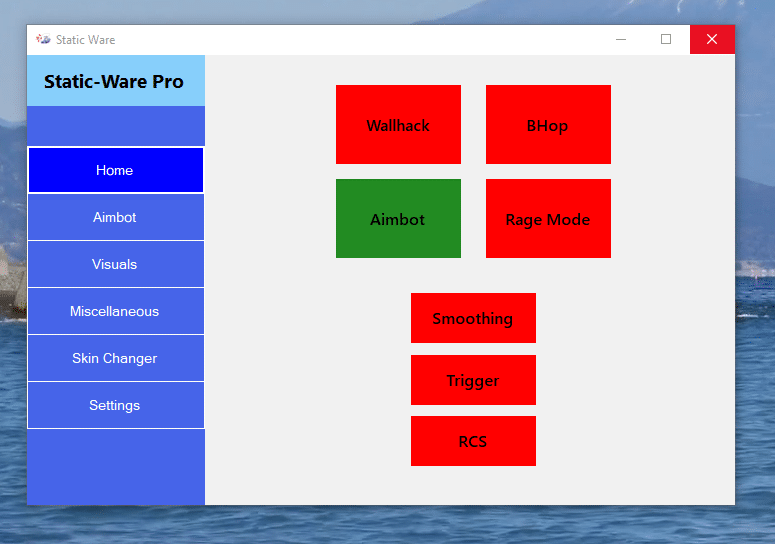 Our private CSGO Hack has aimbot + triggerbot included. Aimbot will automatically aim at the head or other body parts, this is highly configurable within the menu. You can change how smooth the aimbot aim is with the “smooth” feature under the aimbot tab - The higher smooth-level the less obvious the aimbot movements will be. It's also possible to configure the FOV window for even better legit cheating. Great to stay undetected from Overwatch. Trigger bot is a part of aimbot, and is simply a feature that automatically fires your weapon when the aimbot is aiming at an enemies drawspot. We have added 3 different trigger modes (auto/key) and many more things. ESP is a kind of wall hack, where you can see players on the screen at all times, even when they’re behind walls or other objects. You can see what gun they're carrying, watch them peak you, and have the upperhand in every scenario. Never get caught off guard, help plan your team's strategy, and be more dominant in the game. Wallhack and ESP is one of the most popular cheating features ever in FPS games, specially Counter Strike. Our Recoil Control is one of the best in the business. Simply aim where you want your bullets to go, and as long as you are firing, that's where they'll go. The cheat will automatically move your cursor along the spray pattern of whatever gun you have equipped, allowing you to focus on aiming. It is fully integratable with our aimbot, meaning you can spray and hold down the aim key, mowing down everyone in your site. The Skin Changer is a fairly simple feature. You can attach any skin in the game to any gun in the game. Want an AUG Fire Serpent? How about a Glock-18 Dragon Lore? There are no limits to what skin can go on what gun. The misc section, where all the other not so popular cheat features go. Under the misc tab you'll find features like AWP aim, bunny hop, No Flash, Auto Strafe and other fun stuff. Have a look under this tab and see if there’s something fun to try on your next game. In the cheat, you can save all of your settings in different config files. The first time you use your private csgo cheat it’s recommended to go to this tab and save your settings, this will automatically save a “preset.txt” file in your "Desktop/Static Ware" folder. You can change the hack menu color as well under this tab, amongst other things. Our private cheats are external and consist of a few main files: the cheat launcher, which is a .exe file, the cheat itself which is a .exe file, two .dll files which allow the cheat to run, and your various config files (offsets, setting configs). All you need to do to run the cheat is to open the launcher file, then login and we do the rest for you. When you buy a private cheat from us, you will get a .zip file containing a folder with the launcher file. You will have to unzip this by dragging the folder to your desktop or other directory of your choice (C:\Hacks for example). This folder contains the launcher file, which is all you need to run it. Voila! You should now be able to use the cheat. It’s as easy as that! If you have any issues, feel free to contact us here or via Facebook and we’ll be happy to help you. You can also read through our FAQ, we might already have answered your question. 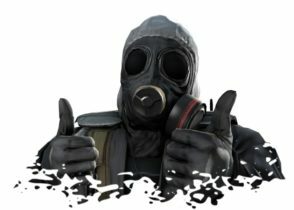 I just bought two private hacks for me and my mate and he is praising you guys! We're using the ESP on LAN haha. Thank god for cheats with a trial price, I hate having to pay before knowing what I'll get. The hack has better features anyway and I don't need to constantly update. Best cheat I've had for CSGO! This cheat is definitely worth $10 per month, I have been playing for months without a ban, the aimbot smoothness option helps to stay undetected from overwatch. 5/5!! I only bought this cheat to use the ESP feature, but I have to say this aimbot is probably the best one I've tried in Counter Strike, and I've played since 1.5! Good job Staticware. What is Counter Strike: Global Offensive? CS:GO (Counter Strike Global Offensive) is the most popular multiplayer FPS shooter game ever released and is created by Valve. The game splits all players into two teams – Terrorist and Counter terrorists. The usual play out is that the terrorist have to plant a bomb on one of two available bomb sites, while the counter terrorist goal is to stop the bomb from being planted, or detonating it after it’s been placed. Either team can win by killing all the opposite players. Counter Strike 1.3 was the first game in the franchise, and has since then released Counter Strike 1.5, 1.6 and Source previous to global offensive. CSGO features all the classic maps, game modes and characters as previous versions, but with different graphics and slight layout changes. CS: GO also features brand new maps like de_cache as well as new characters and weapons. Many previous pro teams from the 1.6 era like NiP, Fnatic & NaVi are still actively playing in Global Offensive. Some professional players are to this day using private CSGO cheats to get away with cheating on LANs and big competitions. When there’s money involved, there’s always someone with a cheat. Have you ever heard of those professional CS:GO players getting caught cheating after years and years? Yea, they used a private cheats, and we have even sold Static-Ware private hacks to... Certain pro CS:GO players in 2018.